A HOST of the region’s athletes picked up prizes at the rain-soaked Great West Run at Exeter on Sunday. Tavistock Run Project’s Jim Cole finished fourth and first over-35 in a high quality field with a half marathon season’s best time of 1:11.31. Cornish athlete Peter Le Grice, fresh from impressing at the Jersey Marathon, won in 1:06.23, with Belfast’s Conan McCaughey second in 1:09.16 and Exmouth’s Tom Merson third in 1:09.31. Cole’s Run Project team-mate Ben Neale was eighth overall in 1:13.31. 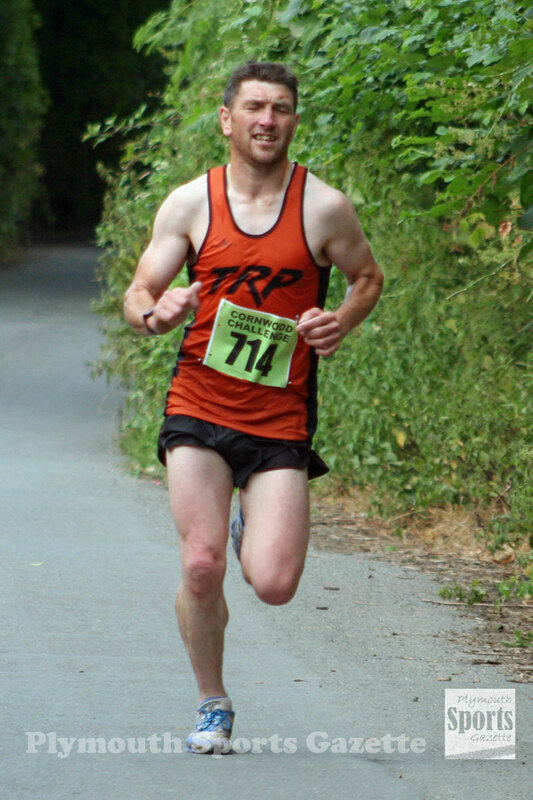 Plymstock Road Runners’ Graham Bale was 18th overall and second over-50 in 1:19.40. Tamar Trotters’ Paul Gregg was third over-50 in 1:21.44, while Run Project’s Chrispin Chambers was first over-55 in 1:25.52. In the women’s event, Tamar Trotters’ Bex Ezra was fifth in 1:24.36. Erme Valley Harriers’ Cleo Perry was sixth women overall and first over-45 in 1:25.21. Plymouth-based Rachel Bunting was seventh and second over-40 with a time of 1:25.31, while Tavistock AC’s Sam Lake was ninth overall and first over-35 in 1:27.17. Tamar Trotters’ Louise Gregg was second over-45 by finishing in 1:39.54. Meanwhile in America, Erme Valley’s Great Britain junior international Will Battershill, competing for Harvard University, finished 65th in a high-class White 8k Pre-National Cross Country race in Wisconsin, while Tavistock’s Tess Masselink finished sixth in the women’s challenge race at the Royd Challenge in Charlotte.